On a previous trip through the Middle East, I really enjoyed seeing Islamic art whilst in Doha. This time I'll be passing through Dubai rather than Doha. I've had a quick check of the Dubai page on WikiVoyage, but I can't see anything equivalent. According to the staff at my hotel, the answer is "technically no, practically yes"
Specifically, within the Dubai metropolitan area, but just over the border. 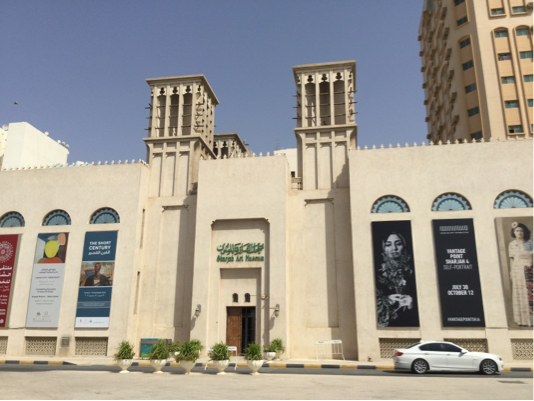 In the Sharjah "Heart of Sharjah" / Sharjah Art and Heritage area is the large Sharjah Art museum, which houses a collection of contemporary and modern Arabic and Islamic art. 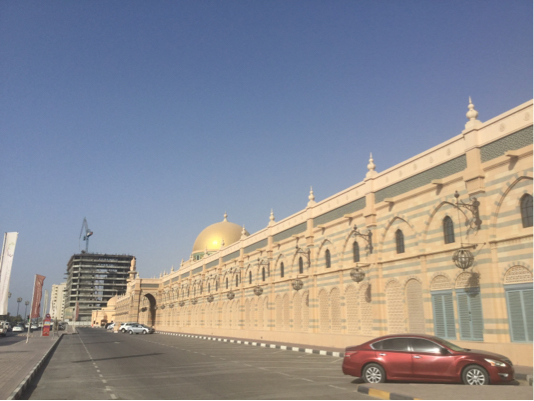 Just round the corner is the Sharjah Museum of Islamic Civilization, which in the upstairs galleries features arts and artifacts from the 1st century AH / 7th century AD through to the 14th century AH / 20th century AD. The only thing to be aware of is that not many Dubai taxis go there, so you'll save time if you have a map with you to show the driver. 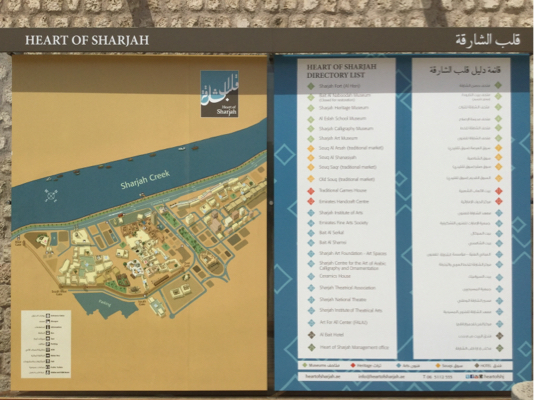 They seem to know the Sharjah Museum of Islamic Civilization a little better than the Art Museum (possibly because it's right by the water), but even then may be a bit hazy on the locations. There are a few maps up to direct you around the area, or there's an information desk near the water in the centre of the heritage area, or pop into the first museum you come across and they can show you the way to any other one! You're probably already aware of this, and it seems to have quite unfavorable reviews on Tripadvisor (thanks @pnuts). Also, it looks like it's more of a business than a gallery, something a lot of visitors didn't seem to expect. But then again, most galleries/exhibitions do also sell art, so this doesn't necessarily disqualify it as an art gallery. And I couldn't find anything else in Dubai. I mean, you don't have to buy anything. You can just go there and look at their exhibition. But do beware of the quite mixed reviews. There's the MIRAJ Islamic Art Centre quite centrally in Dubai. The centre describes itself as "a monument to thirteen centuries of Islamic culture". 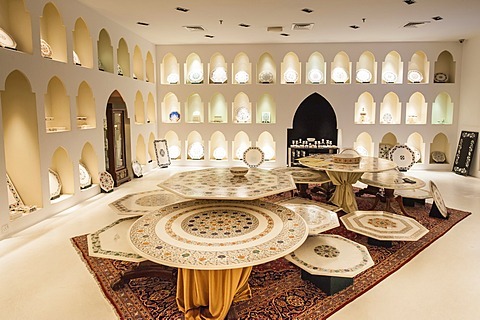 Michelle Chen, general manager of Hunter International Travel and Tourism in Dubai, regularly brings Chinese tourists to the Dubai version of the Miraj Centre. MIRAJ is found at 582, Jemeirah Road and is open (according to The National) daily from 9am to 7pm. Contact information can be found on their website. Not the answer you're looking for? Browse other questions tagged dubai islam artworks or ask your own question. Safe to use binoculars in Dubai? Is there an up-to-date map of street art in London?